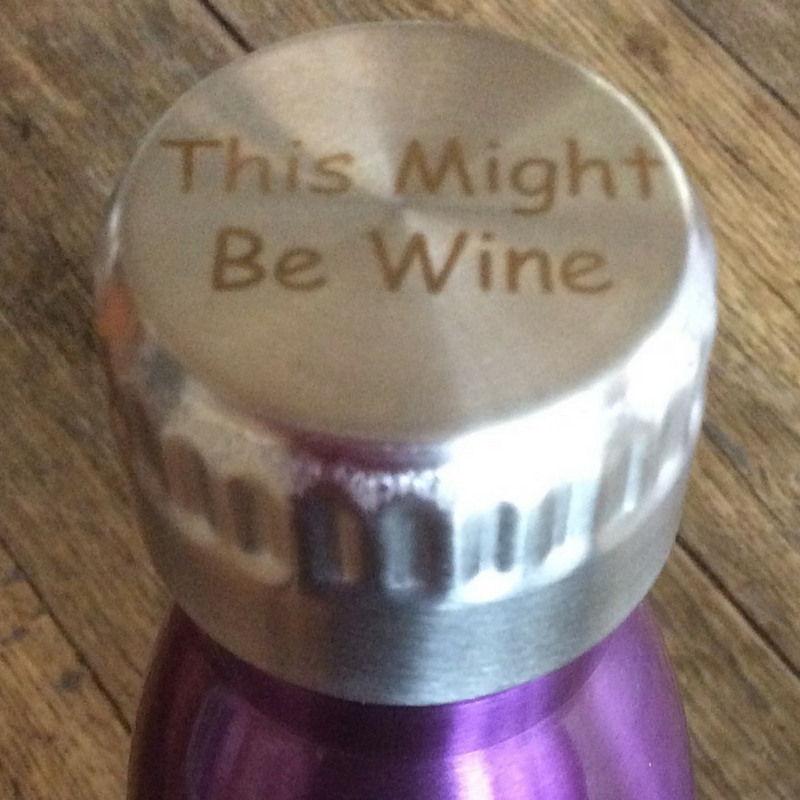 The personalised Oasis Stainless steel bottle got a screw top lid, is made of 1/8 food grade double walled stainless steel which means it will not “sweat” on the outside. It keeps cold for up to 24 hours and warm for up to 12 hours (might be reduced if in high outside temperatures). Or for keeping things like coffee, hot chocolate, milk etc hot. I have at another picnic had coffee in one of the big bottles and hot milk in a smaller one – ready to serve a fresh coffee for a few people. You can choose to get the bottle as is (non-personalised) or you can choose to pay $5.00 extra and get a name/text permanently marked on top f the lid. With a name/text permanently marked onto the top of the lid it is great for school, sport, work etc. 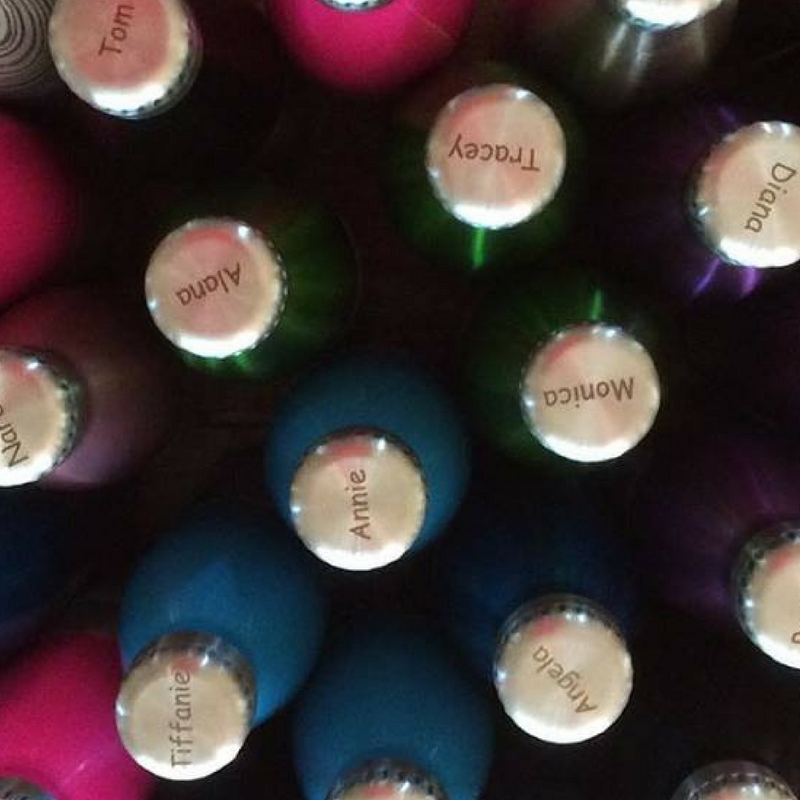 These bottles have also been very popular as personalised staff presents during the last year. Love my 750ml bottle. Keeps my water cold for hours when out and about and I always have enough water to drink. But the best thing is it also fits a whole bottle of wine! Absolutely love my personalised Oasis bottle. 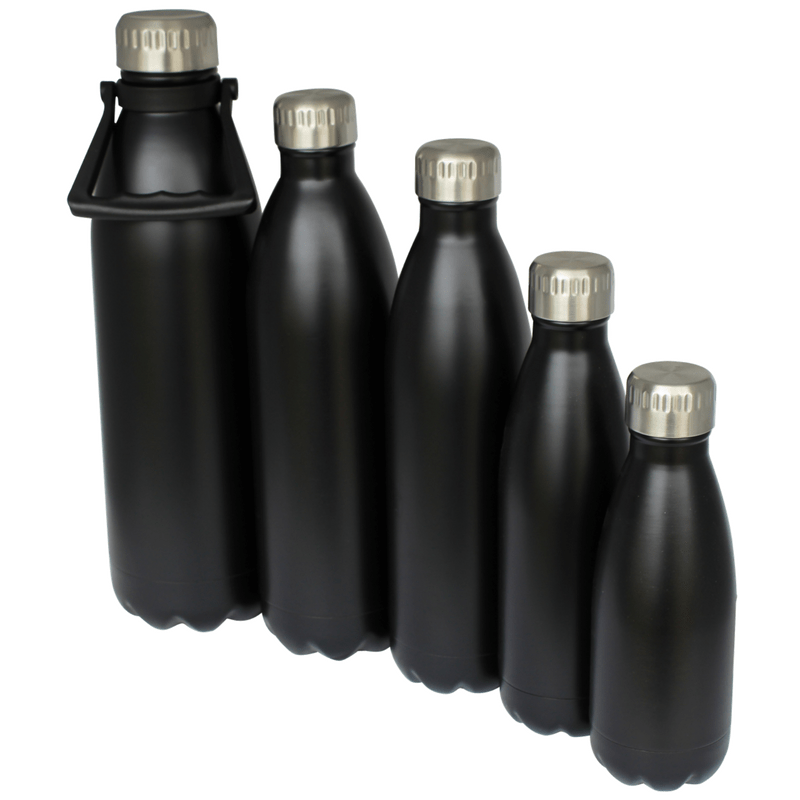 I’m a water bottle addict who has so many bottles and never found The One, until this. The Oasis stainless steel bottle is loved by all 4 in my family, we have one each! It’s easy to fill and easy to clean. We find the 500ml a great size to bring with us anywhere and in any bag. Best of all when we forget it at sport, everyone knows who it belongs to when the name is printed on the lid, so it’s never lost for long. I LOVE this water bottle! Fill it with cold water and it stays cold all day! Even in the middle of summer in a hot black car! The 750ml is a bit big and heavy to take everywhere, but I might just have to buy some 500ml ones to take with us. I bought 3 for Christmas presents in 2017 and they’ve been a hit. Also great for school or work with the names printed on the top. My kids and myself love these bottles. Fill it with cold water and some stick ice cubes, and you will have icy cold water for hours, even with the crazy heat we are having at the moment. And the designs are fantastic.